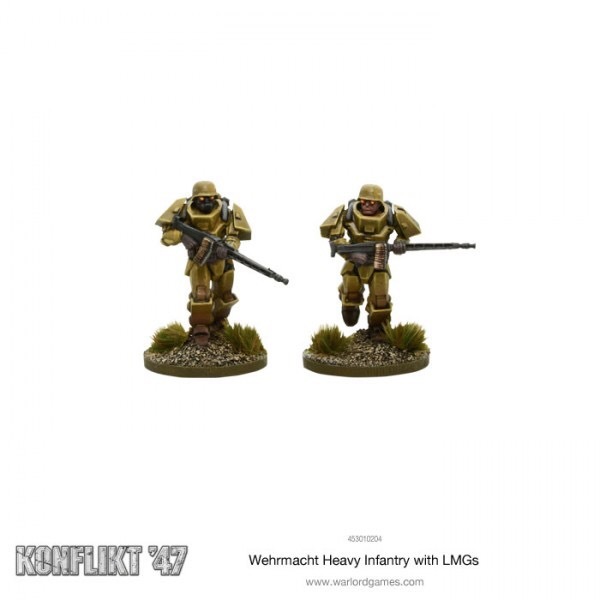 Turning to page 129 of your K47 rule book we can see for 100 points you get 5 Veteran infantry with assault rifles and the following rules along side the German standard special rules. 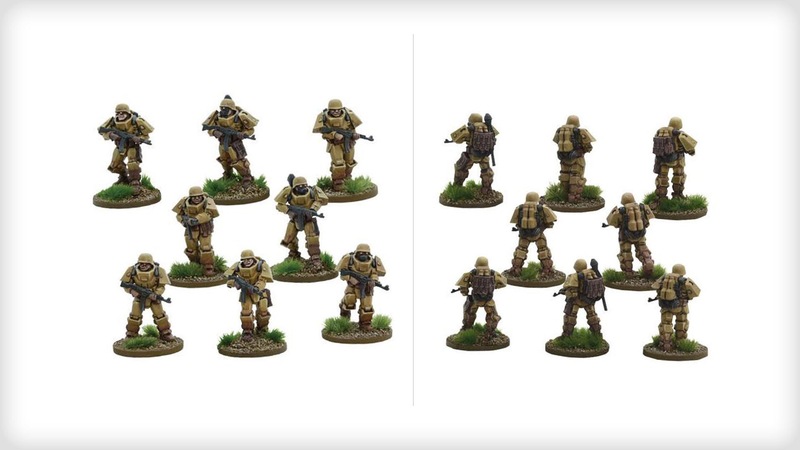 For 20 points each you can add up to an additional 3 infantry. And finally for 5 points up to 2 infantry can have Panzerfausts. So fully kitted out 8 men with all the toys comes in at 190 points. Priced at 190 points for 8 guys fully geared up or 100 points basic for 5 guys they are expensive but compared to the other factions they come out cheaper. On a straight analysis the bad out weighs the good however that’s only half the story. I think for best use of the unit I think you need a clear role for them in mind. I like a full unit of 8 with 2 LMG for 180 points as a defensive unit. Placed on an objective the unit can shoot up to 30″ away with the LMG and when they close you can open up with the Assault rifles up to 24″. In cover this unit will require a real investment from your opponent to shift. The other way I like to run them is in a trusty SdKfz 251 Hanomag Half-Track. 6 for 120 points in the half track that can protect them as they advance up the table to claim objectives. 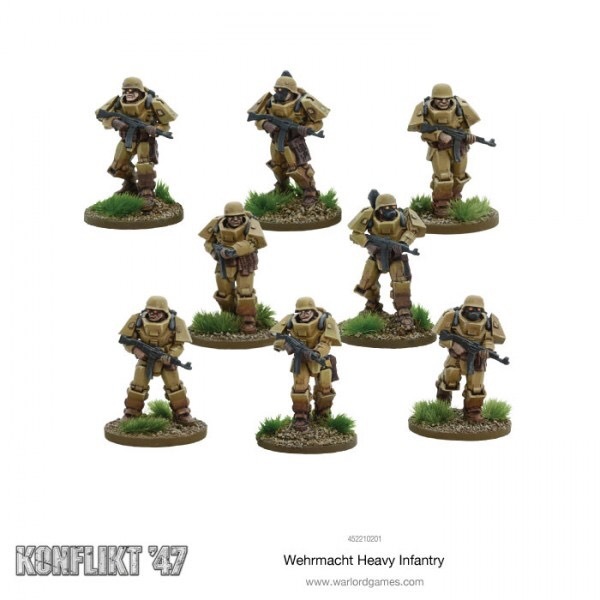 The German heavy infantry may not be as fast as the Americans, and shooty as the Soviets or as tough as the British but they are significantly cheaper than all of them and they look by far the coolest! As long as you have a plan in mind then the German heavy infantry will excel in the role you give them. And as normal you can pick them up from our friend boss minis and games!